The BlueBridge® family of products feature open architecture, drag and drop software that makes them incredibly easy to use. 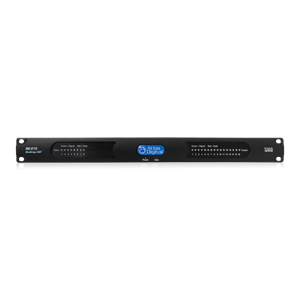 Each model utilizes high quality THAT® microphone preamps and 24 Bit converters to obtain an ultra-low noise floor while still maintaining a smooth sound that satisfies the needs of demanding clients, with the flexibility and control a system designer requires. 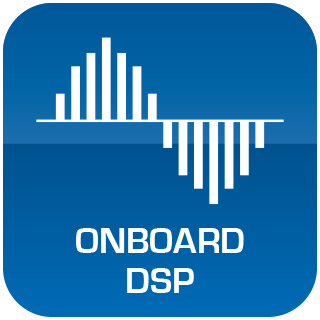 BlueBridge® models use a 40 Bit Floating Point DSP engine to prevent digital clipping that commonly occurs in other DSP products and to obtain maximum speed and power to process advanced algorithms in complex system designs. 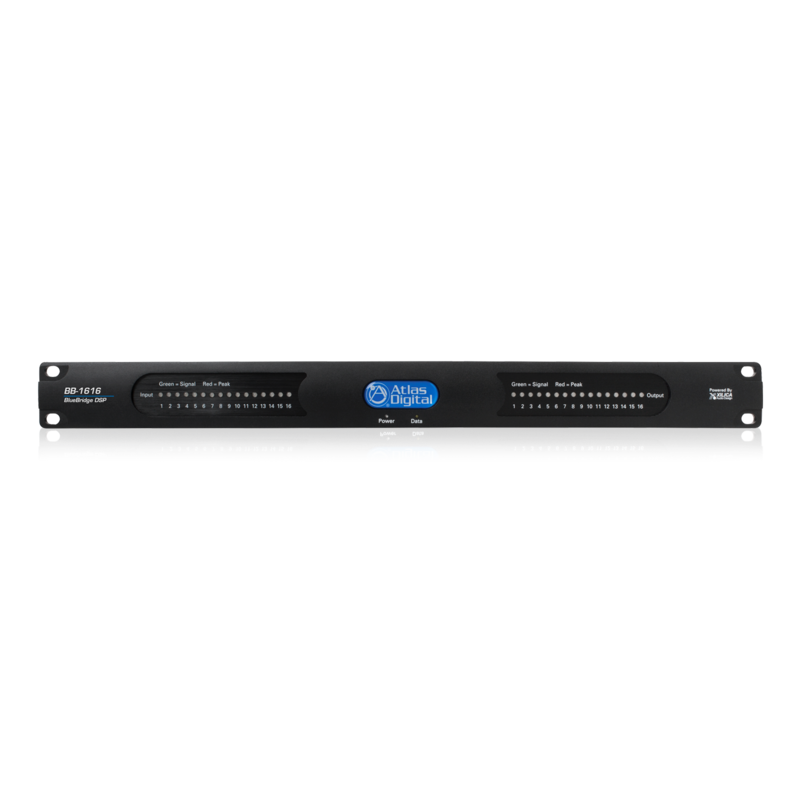 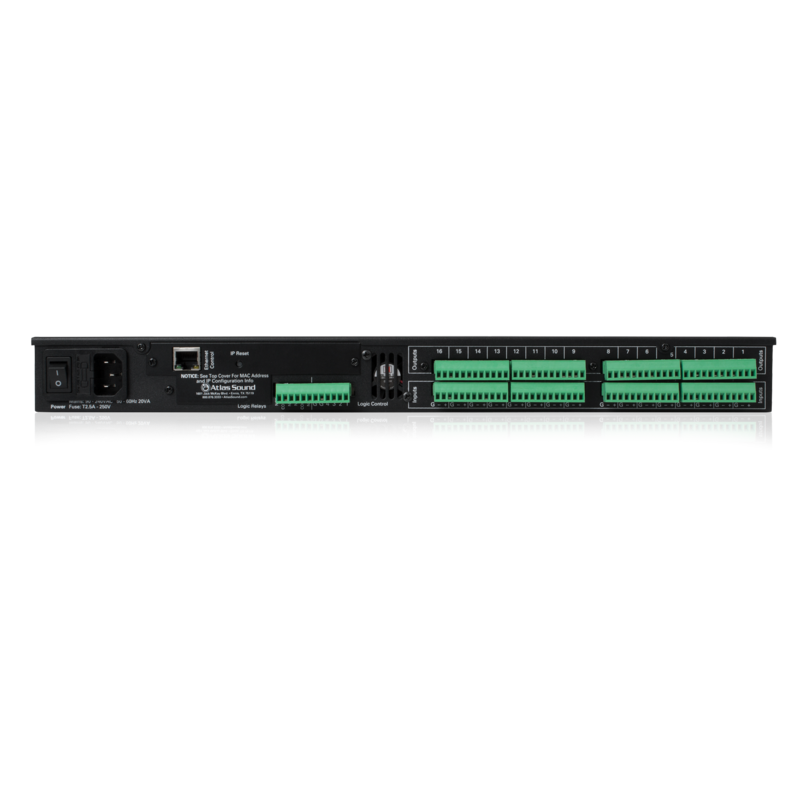 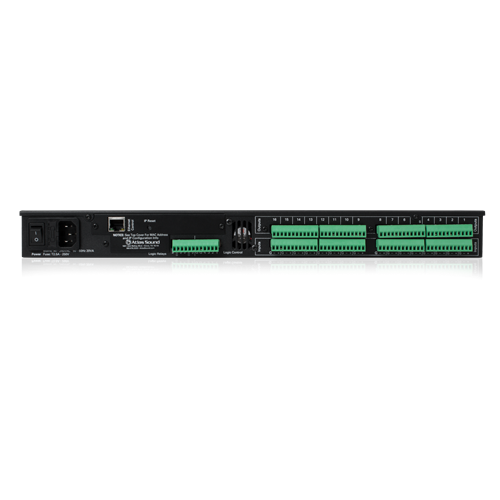 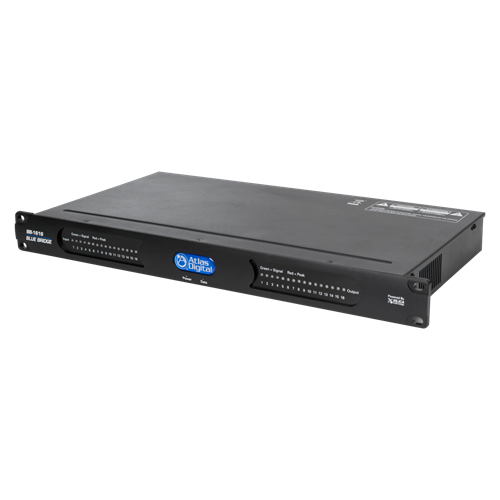 BlueBridge® DSP units can operate on any network while the optional control accessories require a PoE switch. BlueBridge® devices need to be connected to the network during set-up and if control is required but can be applied in many instances where network control is unnecessary or unavailable like live speech applications. 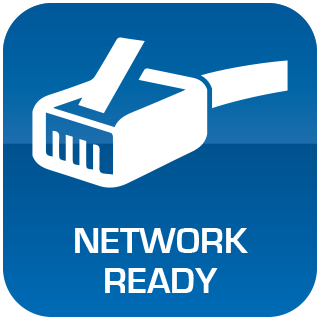 When connected to a network, each BlueBridge® processor on the network will be auto recognized and controllable. 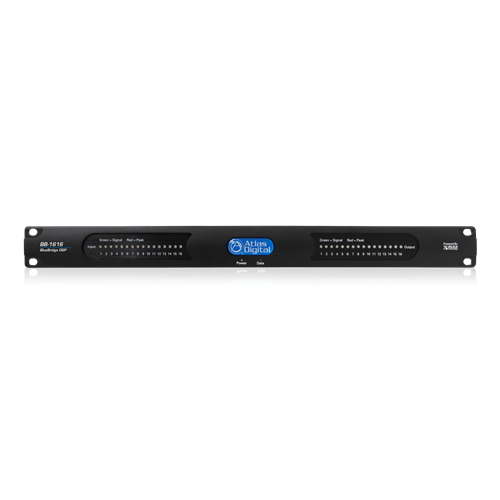 BlueBridge® models provide many valuable processing tools including standard mixers, gain sharing auto-mixers, delays, equalizers, level controls, duckers, filters, and dozens of other processing capabilities. 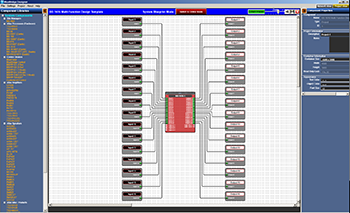 This model includes 16 inputs and 16 outputs using Phoenix style connectors. 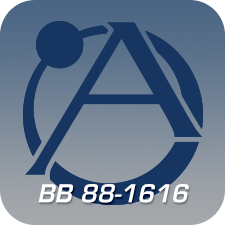 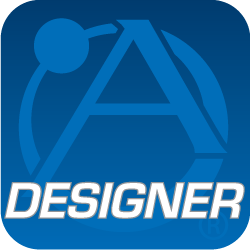 BlueBridge® additionally works with the Atlas BluePanel software which enables the designer to create custom interfaces that can be accessed via a computer connected to the network. 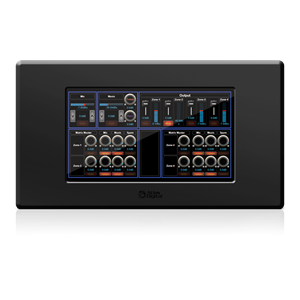 BluePanel can also be used to program wall controllers including the BB-TOUCH7 touch panel giving the user access to the system's functionality for volume control, source selection, room combining, or any other function the designer programs. 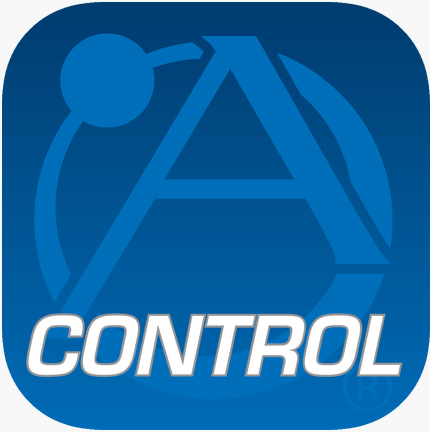 This enables the end user to have some control over the system without having to access the BlueBridge® device directly preventing any unauthorized changes from happening within the device.